Generic Company Place Holder The Impossible Quiz! The Moron Test is a $1 App Store mainstay, frequently ranking as one of the top sellers in Apple’s online emporium. I’ve steadfastly ignored the title; I don’t consider myself a moron, and I figured it was some dopey gimmick. Names Can Be Deceiving: Despite its name, The Moron Test isn’t a dopey gimmick. Rather, it’s very addictive, delightfully drawn, and extremely entertaining. Many questions are intentionally tricky, and you’ll find that you’re forced to start over repeatedly. But it’s fun to figure out why you keep screwing up, mastering the right moves, and improving upon your best times. The developer claims that it will continue to release new “classes,” and each of the three in the game so far are packed with 100-plus steps. The soundtrack is painfully repetitive, although it certainly suits the game. The Moron Test is infuriatingly addictive, delightfully drawn, and very entertaining. The Impossible Quiz, on the other hand, is everything I feared The Moron Test would be. The Impossible Quiz has existed as a PC game and online game for a while, and the iPhone version from InXile Entertainment has a few tweaks, but lacks all of The Moron Test’s charm. Impossible Is Nothing: The questions in the impossible quiz may strike you as more annoying than clever. This quizzer captured my attention for ten minutes, and that was only because I had this review to write. 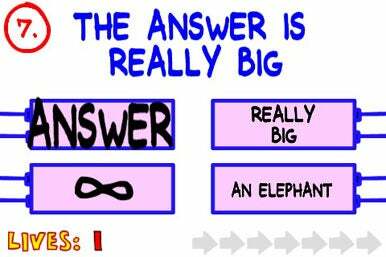 Where The Moron Test aims to be devious fun, The Impossible Quiz just aims to be obnoxious. 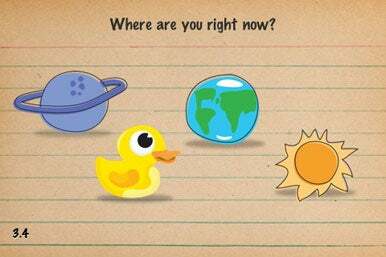 The final quiz game I looked at was Are You Smarter Than a 5th Grader? 2010 from Capcom Interactive. We weren’t fans of the 2009 edition of the game, which was bogged down by being buggy and sluggish. Class Is in Session: The 2010 edition of Are You Smarter Than a 5th Grader is a decided improvement over the lackluster 2009 offering. This is the only true trivia-style game of the three I looked at. Questions cover a wide range of topics, and as in last year’s edition, I haven’t encountered any repeat questions in my testing. 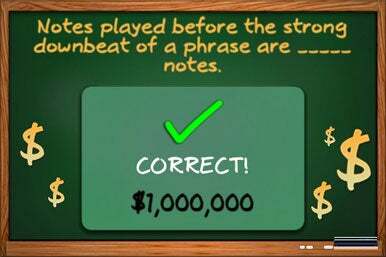 Whether you’re a 5th-grader or a real live grown-up, these questions are often challenging, and scoring the fake million dollars is as satisfying as winning fake money can be.